Water damaged carpet and flooded floors can damage more than just your flooring. Eventually, mould will grow on wet and moist surfaces. 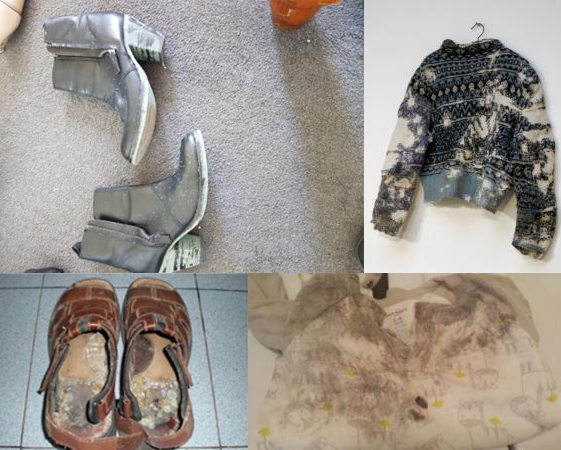 Check out these photo’s to see what can happen to your belongings stored on or near water damaged surfaces. More often than not it is items stored under beds and in out of the way areas of wardrobes, storerooms and garages that you will first notice mould. If water damaged and flooded carpets are not dried out properly, including all hidden areas below visible surfaces then you can be affected by secondary issues of mould and this can affect all your belongings. To avoid the health issues related to mould, as well as the expense of replacing your personal belongings you should ensure that your water damaged or flooded carpet in Melbourne is managed by a professional Water Damage Restoration Company like Capital. The quicker your wet carpet is dried the less likely you will suffer issues of secondary damage. Capital covers all of Melbourne for the cleaning and restoration of water damaged carpet, mould removal, water damage restoration and fire damage restoration. Call us 24/7 on 1300 554 418. This entry was posted in mould damage and tagged mould removal, wet carpet, wet walls Melbourne. Bookmark the permalink.